Dreamforce 2017 is approaching quickly. With less than a month to go before the biggest sales technology conference of the year happens, RFP responders are gearing up for the excitement. It’s my first time attending Dreamforce. As a longtime Salesforce user, I am really looking forward to connecting with the sales community and checking out tons of educational sessions. Needless to say, seeing Lenny Kravitz and Alicia Keys perform will be an amazing experience as well. Even more exciting is that the RFPIO team will be at Dreamforce in full force with our first booth. Whether you’re a friend of RFPIO—or an RFP responder we have yet to befriend—we would love for you to stop by Booth 1954 to say hi and hang out with us. 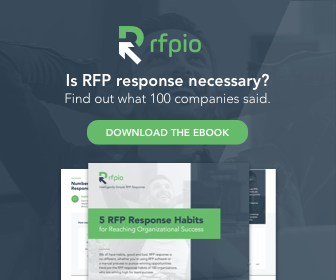 If you haven’t checked out RFPIO yet, this is a perfect opportunity for you to learn how you can save time and boost productivity by streamlining your team’s RFP response process. Bonus: We will be giving away an Amazon Fire Stick to anyone who completes a personalized demo with us at Dreamforce. Schedule your Dreamforce demo now. We know exactly how crazy Dreamforce can be since we attended last year as a team. In 2016, over 171,000 people from 83 countries attended the Salesforce conference in San Francisco. This year is expected to be bigger than ever. It’s all good…until you realize there are nearly 3,000 sessions you have to choose from. Not to mention, you’ll be running all over the streets of San Francisco (ladies…wear flats!) to try to catch as many sessions as you can in only a few days. To help our busy proposal managers and sales teams prioritize a bit, we pulled together a quick list of can’t-miss sessions at this year’s Dreamforce. These productivity focused sessions are worth considering as you plan your attack. 3 Tips to Avoid Sales Burnout – Did you know sales has one of the highest burnout rates of any profession? Learn some proven techniques to beat burnout and focus on productivity, so you can keep your eye on the prize. Contract Lifecycle Management (CLM) Best Practices from Uber and ADP – Become a master of of efficiency, much like our own RFPIO gurus who automate their RFP response process. Learn how to overcome common challenges created by contract and document bottlenecks. Advanced Reporting Tips and Tricks for New Admins – Reporting is important, but it can take too many hours sales teams don’t have to spare. 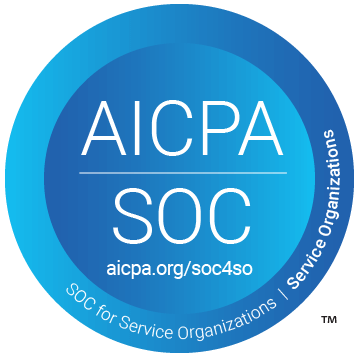 Find out how your team can minimize reporting time, but still present the data effectively to make informed decisions at your organization. 3 Tips to Boost Sales Productivity With Salesforce Inbox – Administrative tasks like scheduling meetings and replying to emails often distract sales teams from achieving their revenue objectives. Find out how Salesforce Inbox adds 25% more selling time back in their day. A Connected Business: What it Means and How to Make it a Reality – What does it mean to build a truly connected business? Walk away with best practices to bridge the gap between data and people by automating key business processes. All Treasure No Hunt: How AI Will Transform Your Leads into Golden Opportunities – One-third of companies completely ignore their best leads today. AI is the way of the future. See how conversational AI is automating lead follow-up in Salesforce to convert more of your leads. Let’s get together at Dreamforce! Schedule time for a personalized demo and we’ll see you in San Francisco.